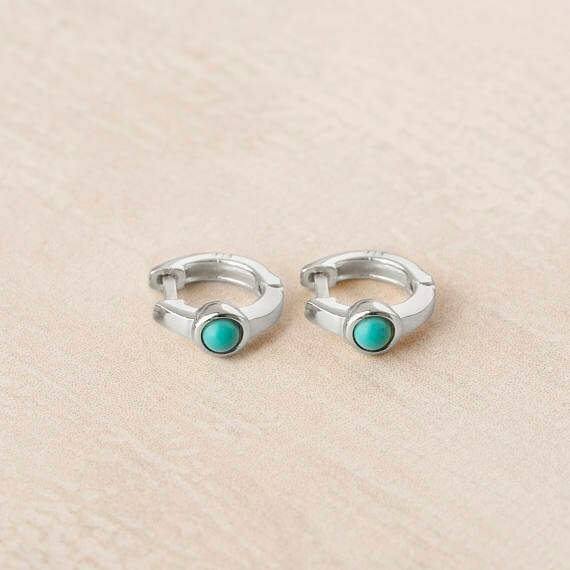 - 925 Sterling Silver with turquoise. 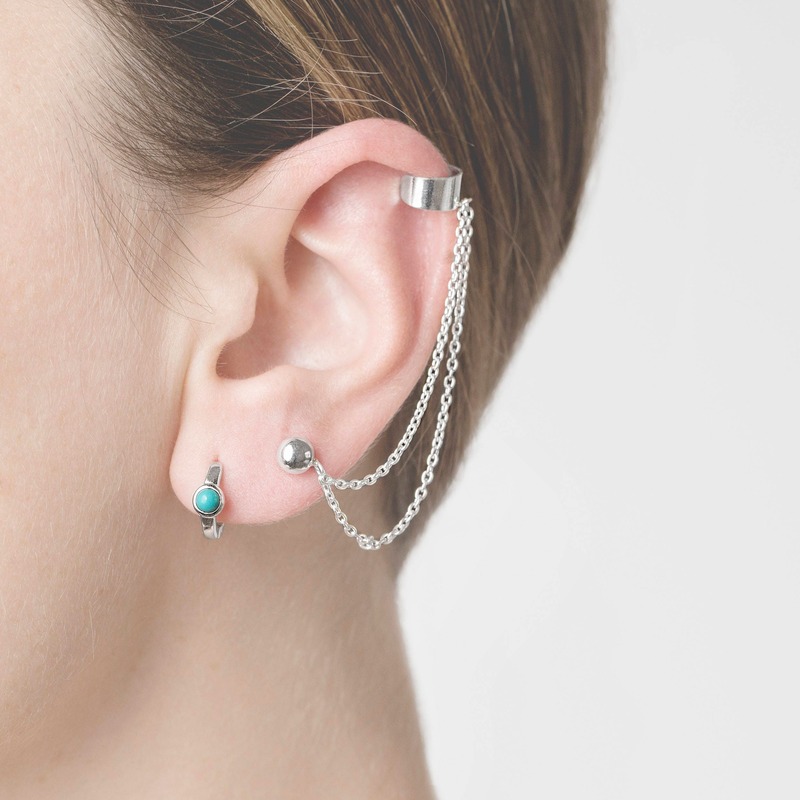 - Enjoy with the most trend tiny hoop earrings which mixes turquoise and silver! - A must have in your jewelry box. - Wear them alone or match them as you wish bringing to your look your own style! I have been wearing these earrings non stop! 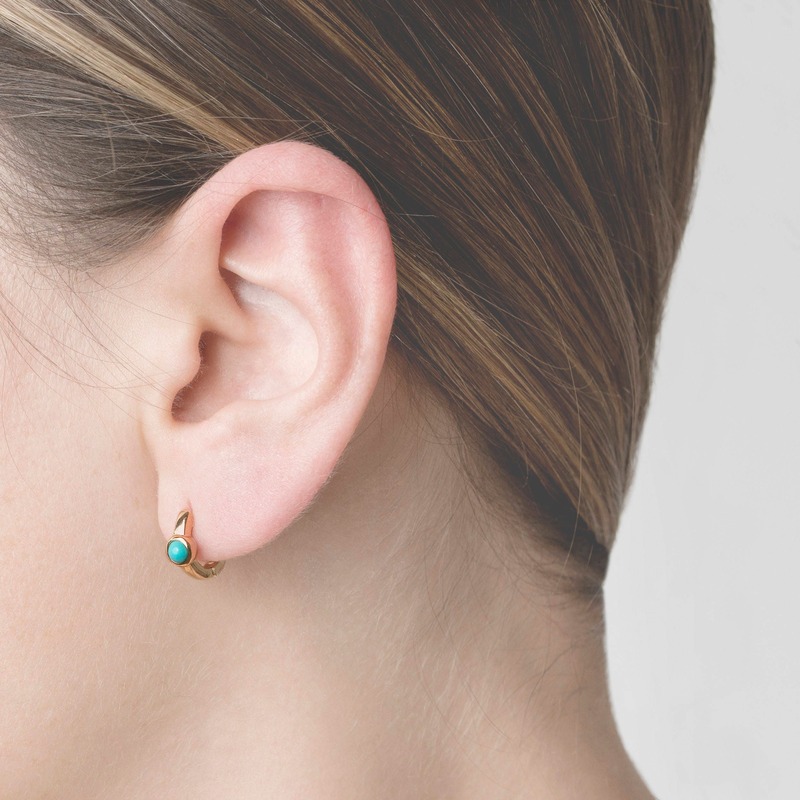 I am someone who is really sensitive to metals and cannot wear cheap metal jewelry without it being painful, these earrings do not hurt to wear or cause any irritation. I am very careful about taking them off before I shower as the instructions say to do. The earrings are great and arrived in very nice packaging. It is exactly the same as described in the listing. Love wearing them. Will definitely buy from Montse Roma again. 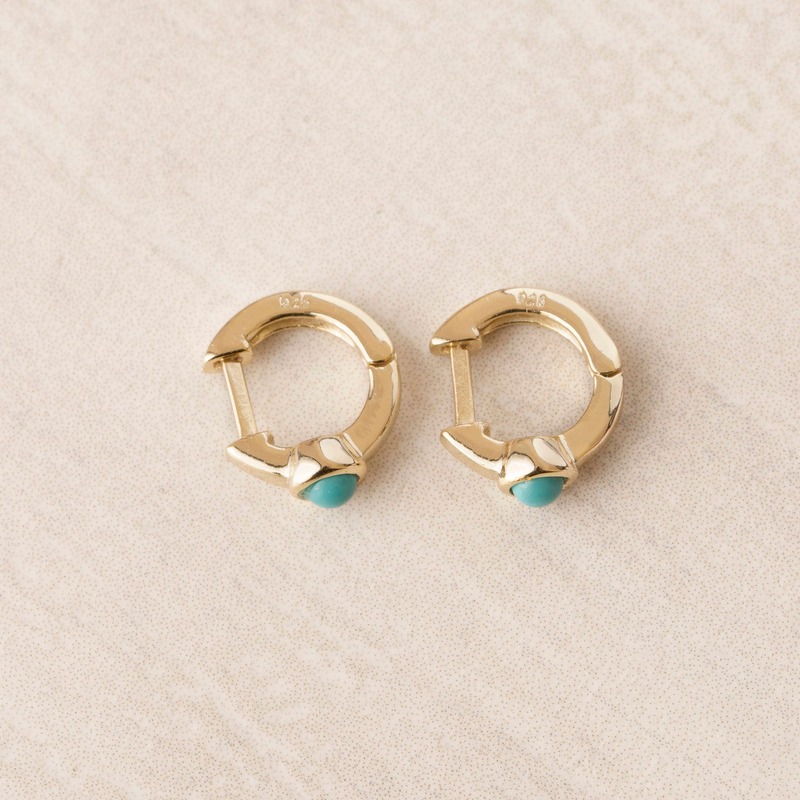 These are the most adorable earrings! I am VERY pleased with my purchase and best of all I received it in record time. Thank you! 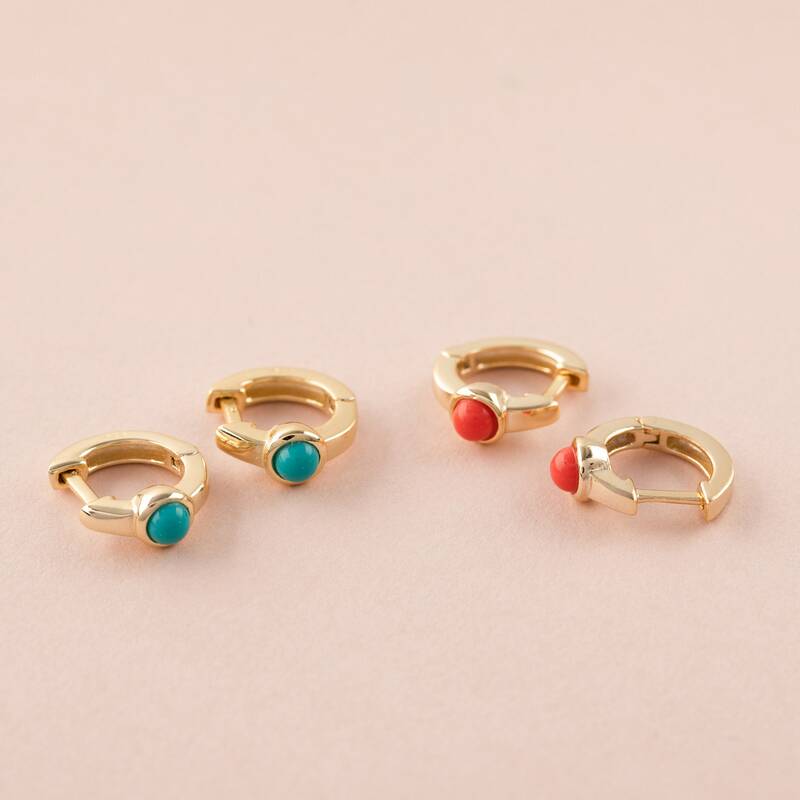 Small and very cute little earrings.